Round 1: Fighters touch gloves, Whitson starts fast with leg kicks and good 1-2 combos. Whiston shoots power double, stuffs van Bergen against the cage, and scores a big takedown. 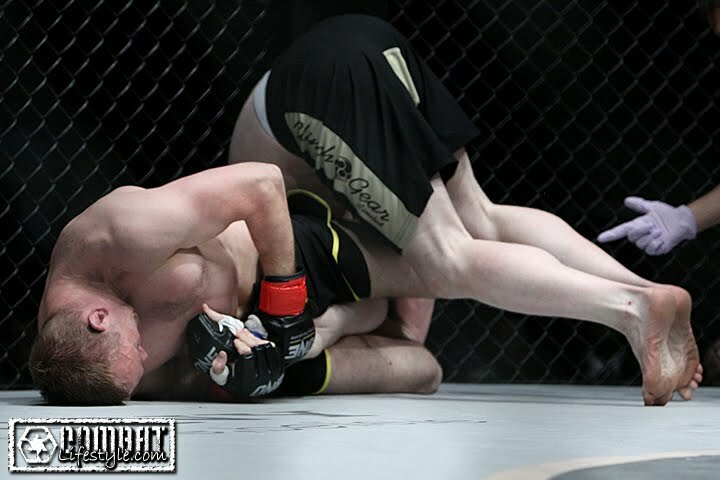 van Bergan swings for an armbar from the bottom of guard position. Whitson clearly out of his element, gets stuffed against the cage as he tries to defend, and taps to the armbar at 3:41 of the first round.